Tooth decay happens when bacteria in your mouth consume the sugars we eat. When you eat food containing ordinary sugar (sucrose), it gives bacteria on your teeth energy, allowing them to multiply and start making acids that can eat away the enamel on the teeth. This “acid attack” causes tooth decay and cavities to begin to form. Xylitol is a natural sweetener derived from the fibrous parts of plants and is one of the ingredients in our diabetic friendly desserts. It does not break down like sugar and can help keep a neutral pH level in the mouth. Xylitol also prevents bacteria from sticking to the teeth. This is how it protects the teeth from tooth decay. With the dental benefits of Xylitol, the acid attack that would otherwise last for over half an hour is stopped. Well the good news is that Life Kitchen use Xylitol in our healthy desserts which make the not alone diabetic friendly but also tooth friendly. Because the bacteria in the mouth that are causing cavities are unable to digest xylitol, their growth is greatly reduced. The number of acid-producing bacteria may fall as much as 90%. No acid is formed because the pH of saliva and plaque does not fall. After taking xylitol, the bacteria do not stick well on the surface of the teeth and as a result, the amount of plaque decreases. So by eating our diabetic friendly desserts: Chocolate Mousse, Lemon Cheesecake or Pannacotta you are helping your teeth combat the tooth decay that may happen when eating other sweet desserts. 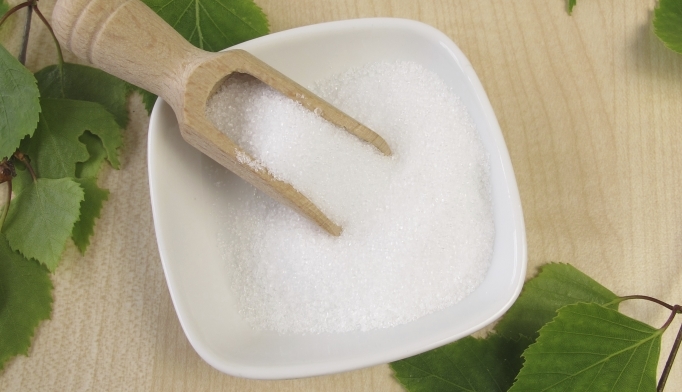 Research has also shown that the use of xylitol also helps repair damage to the enamel. Saliva in itself protects the mouth and teeth. Stimulated saliva in particular contains all the components needed to repair early cavities. If sugar is only taken a couple of times a day, the saliva can do the job alone. But most people take sugar so often that the mouth’s own defensive tools are not enough. Life Kitchen diabetic friendly desserts are good for your teeth. Thanks Xylitol! The research done on Xylitol shows that above 3g of use per day is more than enough to prevent tooth decay in children and adults and believe it or not but each of our healthy desserts contains a whopping 7g of Xylitol.That means that either our Chocolate Mousse, Lemon cheesecake or Pannacotta actually clean your teeth while you eat them! Our healthy desserts are available in SuperValu’s around Munster and parts of Leinster. Check here to see where we are stocked. We also sell online and deliver straight to your door no matter where you are in Ireland or the UK if you are too busy or find it hard to get to the shops.